This is a post from my old blog. I hope you enjoy. 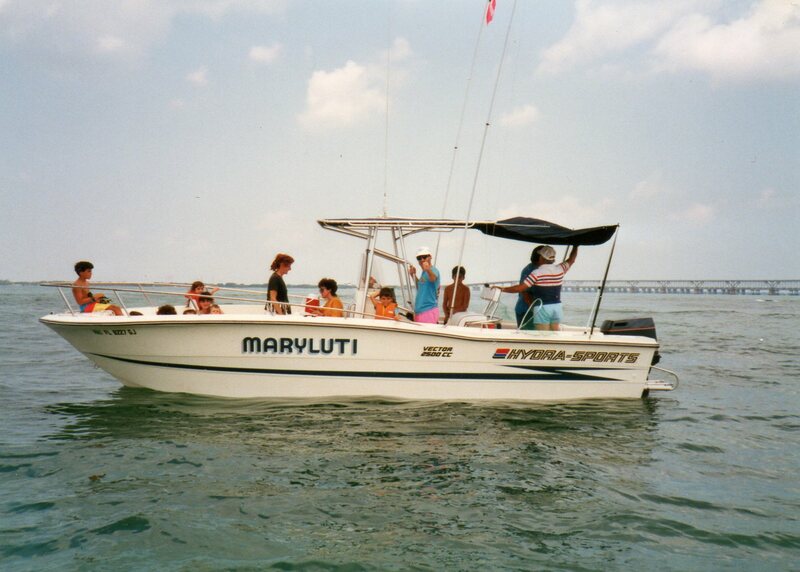 Back in the late eighties and early nineties (up to August 24, 1992 and Hurricane Andrew), my family travelled down to Florida Keys regularly. With RVs and boats hitched to our vans and trucks, we descended upon a little RV park just south of Marathon called Sunshine Key. Our largest contingent included five or six RVs, at least four boats, and a small army of cousins. We slotted our trailers in amongst the others and dropped the boats in the marina. 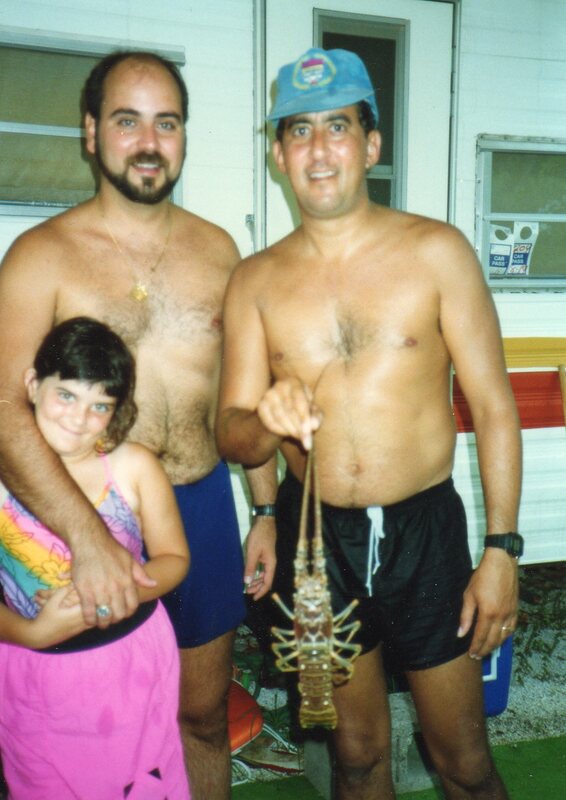 Three to ten days at a time, my family coasted the waterways fishing, snorkeling, tanning, laughing and lobstering. Sunshine Key was a second home. Should the sound of tires slowly cruising over gravel reach my ears, I am immediately taken back to that place. The playground, ice cream window, and marina all have permanent etchings in my memory. The smell of fish and mosquito spray blanketed the camp grounds, and the echoing sound of laughter careened off every nearby trailer. For a ten year old boy, it was paradise. Days consisted of boat rides, beachcombing, and bumming about. The evenings were filled with barbeque, Manhunt, and card games. Too much fun to tell the full tales of. 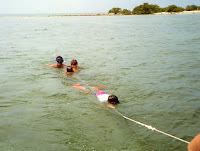 However, one of our regular escapades, come the last week of July and late in the first week of August, was lobstering. While most people enjoy eating good lobster, and I count myself among those people now, back then the best part of lobster was the catch. I truly enjoyed snorkeling, but trolling for lobster by towing behind on a rope with your mask in the water was incredible. Occasionally, we’d drop lobster traps and buoy-markers, but mostly we trolled, scanning the ocean floor for Coral and other larger rock formations the crustaceans used as hideouts. Should I spot lobster, I’d release from the line and swim back to the spot. My father would angle the boat around and he or my uncle would join me in the water. I usually carried the Tickle Stick, which doubled as a lightsaber or dueling sword on dry ground, and Dad or my uncle would carry the lobster net. We’d swim down to the crusty critter and once the net was positioned behind, I’d give the little guy a tap on the forehead. Instinct had the animal flash back into the net. Then we’d haul it up to the surface for a measurement. I can’t remember any single moment lobstering, just a general fondness. However, there are plenty of moments I do remember, not the least of which was my mother becoming the second person in the History of the Universe to Walk on Water. To this day some twenty years later, I have never seen a human being move so quickly. My mother closed the twenty foot gap to the aft ladder in the blink of an eye, leaving a cartoonish trail in her wake. 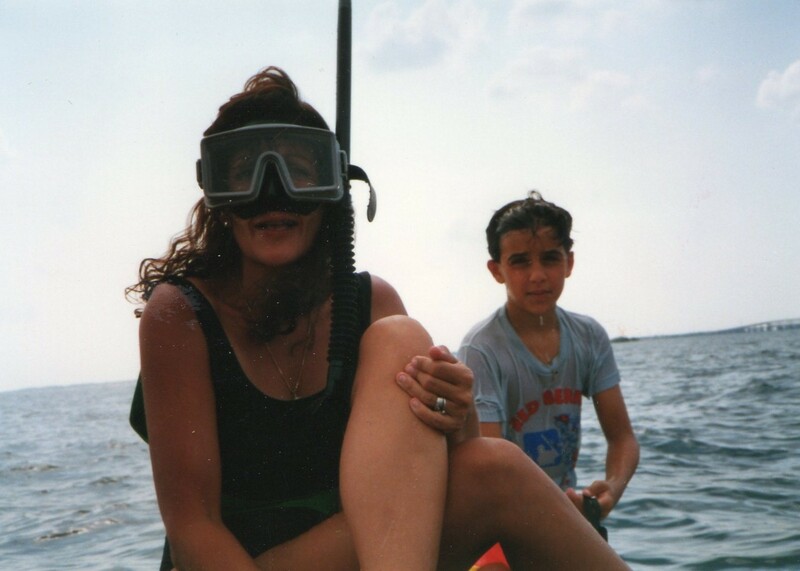 My father peered over the edge and identified the fish as a Nurse Shark, a bottom feeder my mother had nothing to fear from, but she was already wrapped tightly in a towel, sitting on the in-board engine cover and checking to see if all of her toes were still attached. I doubt it was on that ride home, but on many of the cruisings we took in and around Marathon and Big Pine Key, dolphins raced our little in-board Renken craft, and a massive Ray coursed beneath us, its wingspan visible off both the stern and starboard sides of the boat. 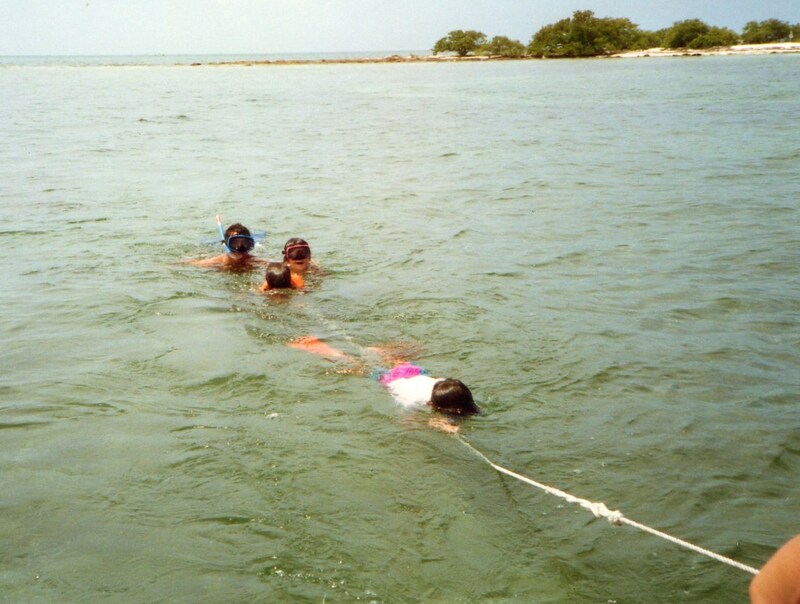 We had great times down in the Keys, like when my cousin Anna decided to throw her fishing pole in the ocean rather than deal with the eel that was slithering up the line out of the water. 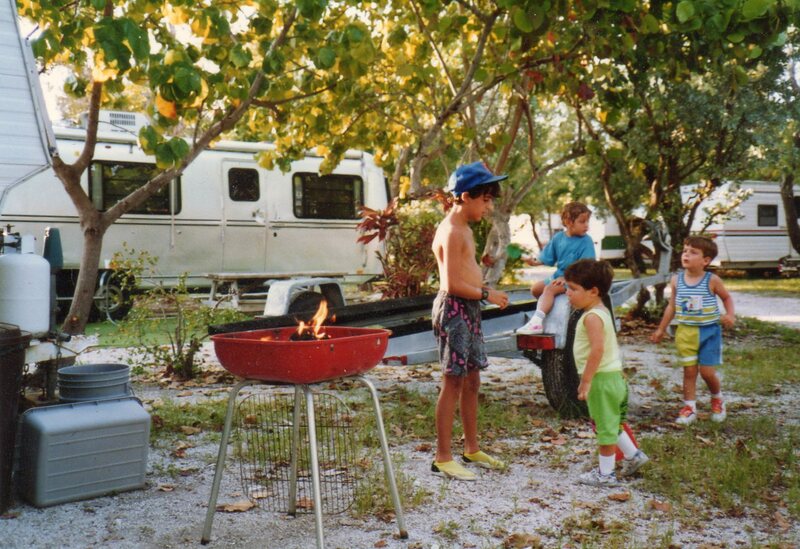 Hurricane Andrew stopped our vacations down in the Keys, but it’s these salt-soaked memories I cherish and hope to provide to my own children one day. My wife and I recently took a trip to Marathon for our fifth wedding anniversary and on a day-trip down to Key West, I pointed out old Sunshine Key. It’s not named that anymore, but it is for me. For now, Lobster season goes on without us, but who knows, maybe in the future, my family will once again descend upon the Keys and make new memories and snag a few more tasty lobster tails.